Here’s a little beauty that you can keep in your make-up bag, handbag or even a pocket. It’s a tiny shot of freshness. 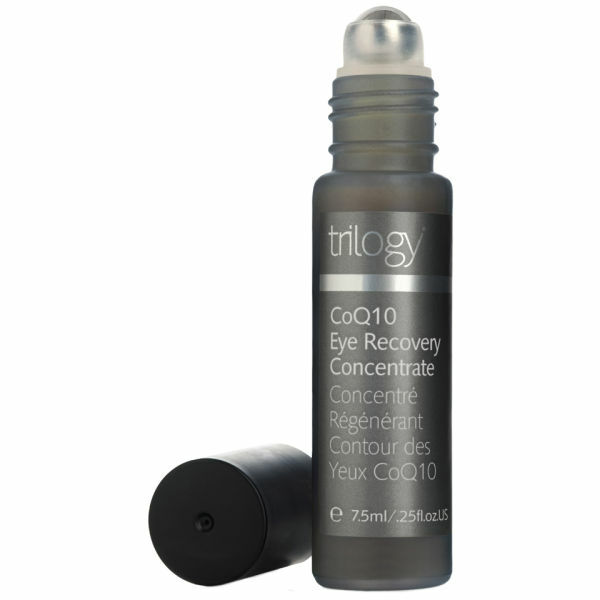 It’s the Trilogy Age Proof COQ10 Eye Recovery Concentrate. This is so simple to use. It has a roller ball action and the coolness of the product as it’s applied is immediately calming. It makes my eye contour area look and feel brighter and more awake instantly. Use it day and/or night. It’s simple and straightforward with active ingredients that work. Nothing more I need to say. It’s available here currently priced at £22.95. This product was gifted to me for review but the opinions are my own and were not prescribed. This post contains affiliate links. Sounds great. I like the whole rollerball thing, it really helps with reducing swelling. Me too. The product against the metal of the rollerball feels cold instantly. It brightens too.